Dr Véronique Thouvenot, head of Millennia2015 WeHealth has participated in the WSIS Forum 2012 organized from 14 to 18 May 2012 in Geneva, Switzerland. On that occasion, she met members of Millennia2015 and contributed to work sessions and conference. 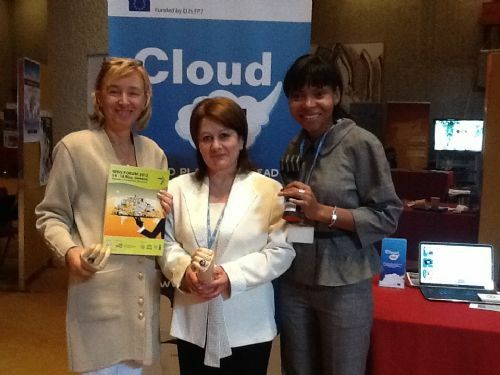 Millennia2015 members at WSIS 2012 : experiencing cloud innovative solutions for disable people . WSIS Project Prizes 2012, C2, Information and Communication Infrastructure.